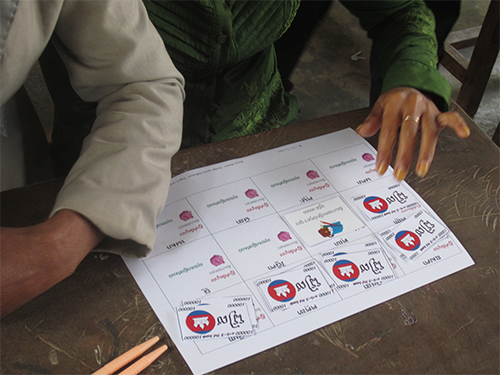 Since 2006 we have worked with NGOs and developed hands-on, simple and relevant programmes. Because we are independent from financial institution, our programmes are not biased and focus on solving your target groups’ issues. Your NGO already runs programmes on health or nutrition, or provide shelter, sanitation or vocational training. Why include financial education? Prepare them to manage failure and success. 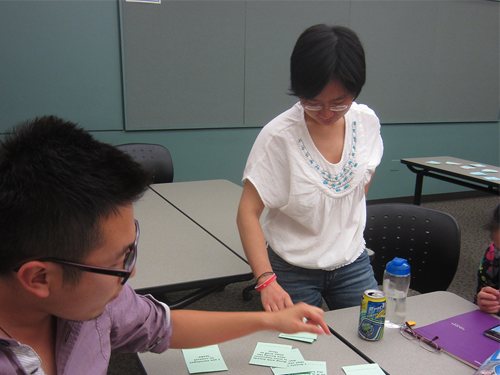 fitting expenses pictures in an income square. Expenses are too many and participants have to choose which ones are priorities. Then we add an emergency expense and introduce how to reprioritise expenses… and why savings a bit every time we earn an income helps pay for emergencies. This is a way to discuss priorities and planning… without any calculation. 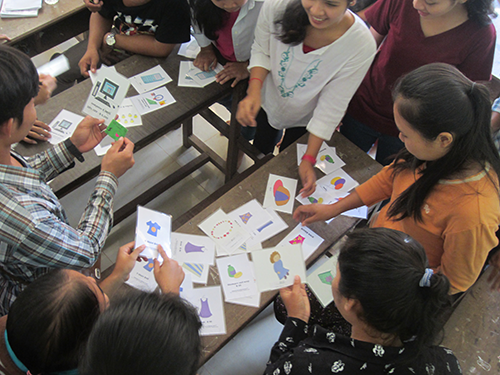 participants first identify good and bad pieces of advise on spending (using cards); then they go shopping (using cards and toy bnknotes)… and analyse why they don’t follow sensible pieces of advise… and what they can do to control shopping! Several of our training sessions focus on building routines and getting organised. Participants have to pay for one or two yearly expenses. They know how much they cost. They place toy banknotes on each month to calculate how much they should save in order to avoid borrowing money at the last minute to finance these expenses. 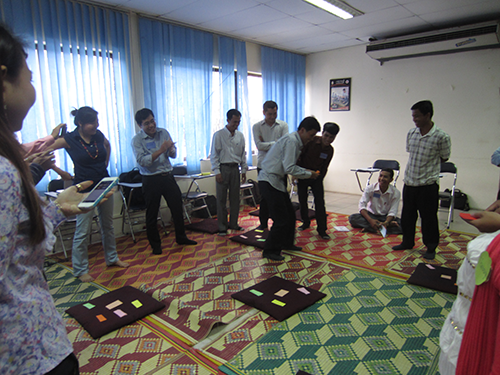 Participants help the protagonist of a story lost in his money management… using the very little information he has. Through this case, they realise why tracking all expenses and incomes is the very first step to money management. 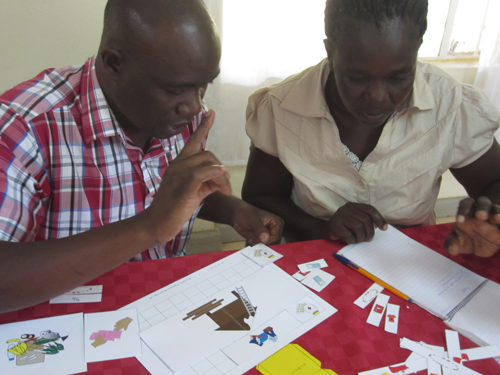 participants learn basic notions such as profit calculation, breakeven and cash reconciliation, and ethical business practise and other skills… using colourful cards and games. 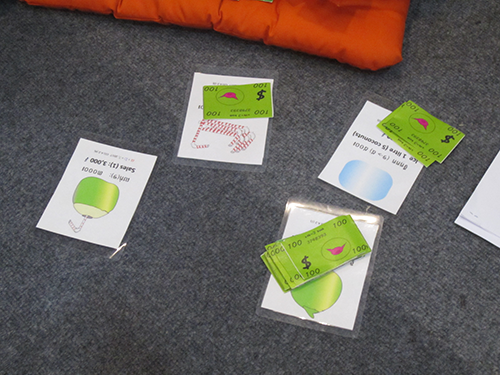 through a story and cards to illustrate it, participants analyse the consequences of not managing money, and discuss which expenses are useful and not and how to prioritise them. Our programmes include lots of standing and moving around to stimulate the brain. 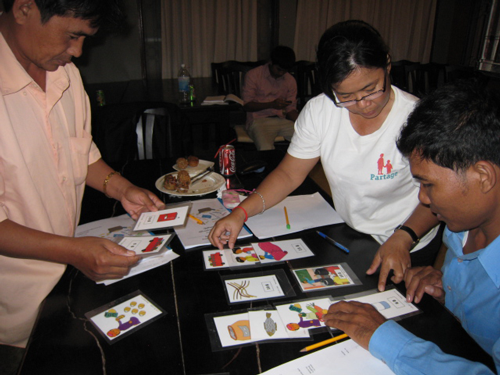 Because time is important, our energisers are finance-related, like this delivery man game where participants experience first-hand the benefits of planning ahead … all while laughing and running!